All of the Zen and the Art of books are available as a Multimedia Edition eBook on Kindle, IBooks, and Nook, This enhanced multimedia e-book edition brings recordists deeper into the concepts covered in the text. 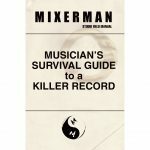 It features over ninety minute’s worth of supplemental videos in which Mixerman demonstrates some of his thought processes while mixing, along with some fascinating tips and tricks. The full hour of clips provide invaluable insight into mixing a record. This multimedia eBook is an absolute must-have for anyone who enjoys recording music and wants to get better doing it. Zen and the Art of Mixing - "Dough head. You gave away the farm." 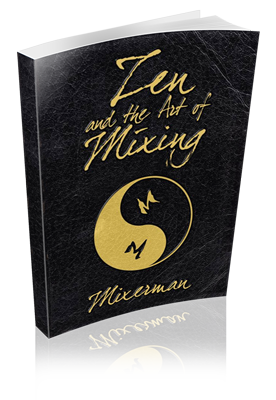 Zen and the Art of Mixing - "I never thought anybody could write a meaningful book about mixing but Mixerman has done exactly that. I learned early-on that great recording engineering and mixing is largely a matter of keeping your mind out of the way and here is one man's brilliant approach to accomplishing precisely that." Zen and the Art of Mixing - "Without belaboring the technical, he encompasses the creative, spiritual, practical, and business aspects in a simple and entertaining read. This will surely be a huge help to budding mixers and interested music consumers alike!" Zen and the Art of Mixing - "Finally, a book that teaches the Art of great mixing, not the pseudoscience. At long f*#@ing last." Please Note: You must purchase the digital version of the book in order to view the clips. We realize there are some of you who prefer to read the paperback. Unfortunately, in order to watch the clips, you need the digital version of the book. Think of it like it’s a DVD, only if you’re okay with reading on a screen, then you get the book too. 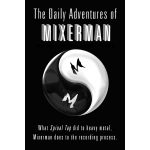 In his first book, The Daily Adventures of Mixerman, the author detailed the frustrating and often hilarious goings-on during the process of recording a major-label band. Musicians, engineers, and producers laughed and cried at the crazy goings-on they’d never imagined or recognized all too well.